The Northern Chamber Orchestra’s Artist in Association Chloë Hanslip will join the orchestra on stage in Manchester, Macclesfield and Buxton for a concert of stunning string music in May 2019. 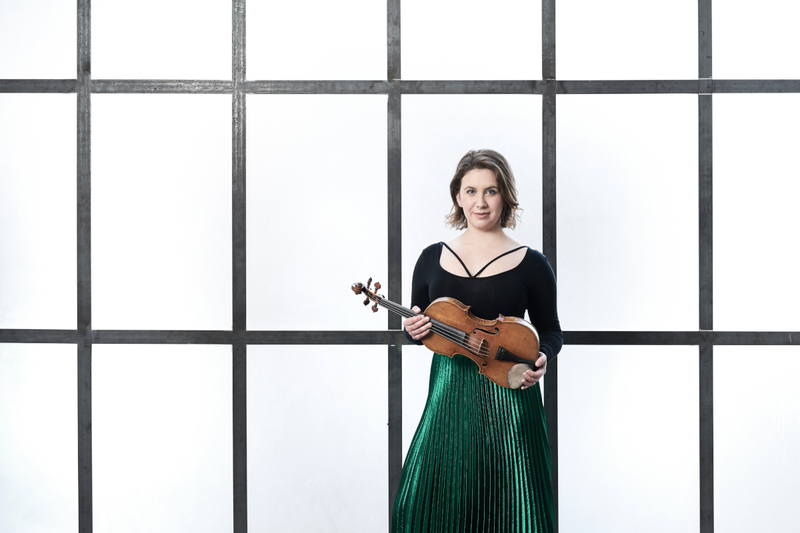 Prodigiously talented, Hanslip played for the great Yehudi Menuhin at aged 5, signed her first record contract aged 13 and made her BBC Proms debut in 2002 at the age of 15, and has played at major venues in the UK and internationally. She directs the NCO in a concert that includes Tchaikovsky’s Serenade for Strings, as well as performing as soloist in Bach’s Violin Concerto in A minor and the atmospheric Fratres by Arvo Pärt. The performances take place at Manchester’s exceptional new new venue for performance, The Stoller Hall, the Heritage Centre in Macclesfield and the stunning St John’s Church in Buxton. The concerts close a successful 51st season for the orchestra, who have also played host to such international soloists as clarinettist Julian Bliss, pianist Freddy Kempf and tenor Nicholas Mulroy. Formed in the late 1960s, the Northern Chamber Orchestra is one of the country’s top chamber orchestras. The orchestra holds its main concert season in Macclesfield’s Heritage Centre, is the Orchestra in Association at Manchester’s Stoller Hall, and performs regularly in Buxton and other venues around the North of England. Tickets are available now from the Northern Chamber Orchestra website. As is standard for the NCO, tickets for under 18s are free, and students can also get tickets for the Buxton concert for free.